Most of us have known someone with cancer, either in our family or with a friend or an acquaintance. But cancer can be particularly cruel when it seems to target a specific family over and over again. For the Zepeda family of Miami, cancer has stricken a mother, her daughter, a number of other family members, and even the family dog. 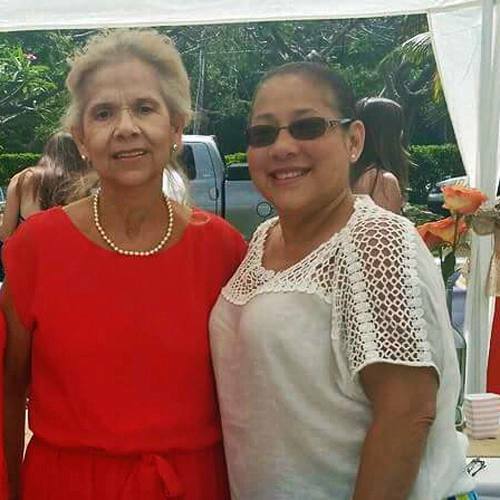 Yadira Zepeda, a 67-year-old mother of four adult children, was first diagnosed with multiple myeloma in 1991 and was told by her physician in Miami that she probably had two to four months to live. Not satisfied with what she heard and unwilling to give up after receiving that devastating news, at a friend’s recommendation she came to Mayo Clinic's Florida campus for the second opinion that has given her life and hope for the past 24 years. Yadira’s own battle with cancer took a back seat when in June 2008 her daughter Valeria was diagnosed with chronic myeloid leukemia after unexplained bruises began appearing on her legs and arms. Based on her mother’s experience, Valeria went to Mayo Clinic and began receiving targeted chemotherapy for her disease. After Valeria initially responded but then progressed through three different lines of treatment, her physician, Candido Rivera, M.D., recommended that she undergo an allogenic bone marrow transplant. In August 2013, she received a transplant with stem cells from her brother, who fortunately was a perfect match. Valeria's condition has since stabilized to a “low activity” almost undetectable stage. She continues to receive oral anti-leukemia targeted therapy every day for the foreseeable future. Valeria’s battle with cancer, however, wasn’t over just yet. In a cruel twist of fate, she found a lump in her breast and was diagnosed with breast cancer in August 2008, resulting in a bilateral mastectomy, followed by chemotherapy. Her breast cancer is now in remission. In October of that same year, she also had part of her thyroid removed due to a benign lump that was found by her doctor. Today both Yadira and Valeria are living full lives one day at a time and continuing their treatment at Mayo Clinic. Yadira’s care has since been transferred to Sikander Ailawadhi, M.D., a myeloma specialist, while Valeria continues to see Dr. Rivera, a myeloproliferative disorders specialist who has been her physician since 2008. And the good news is that despite their family history of cancer, Yadira’s other three children and Valeria’s siblings are all healthy and remain cancer-free.